US/Silver Spring: Jac. Vandenberg, Inc. a Yonkers, New York establishment, recalls an estimated 1,207 cartons of Fresh Nectarines, 1,727 cartons of Fresh Peaches and 365 cartons of Fresh Plums due to suspected Listeria monocytogenes contamination and consequential risk of Gram-positive bacterial infection, severe illness and/or possible life-changing complications, all serious health hazards. 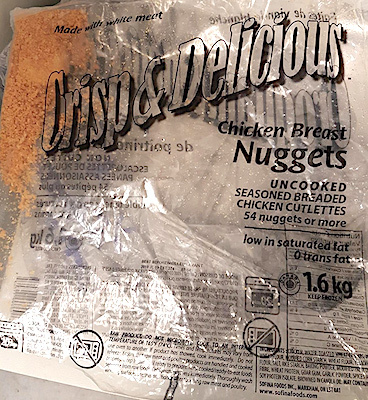 Canada/Ottawa: Sofina Foods Inc., a Port Coquitlam, British Columbia establishment, recalls certain batch/lots of Crisp & Delicious branded Chicken Breast Nuggets due to suspected risk of Salmonella contamination and consequential risk of Gram-negative bacterial infection, severe illness and/or possible life-changing complications, all serious health hazards.